Black and white photos can have a classic feel to them. Harder to guess location without seeing the water color though. Can you tell where this wedding location is? We'll give you $50.00 if you figure it out, to be used towards a wedding package at Bridal Dream Hawaii. 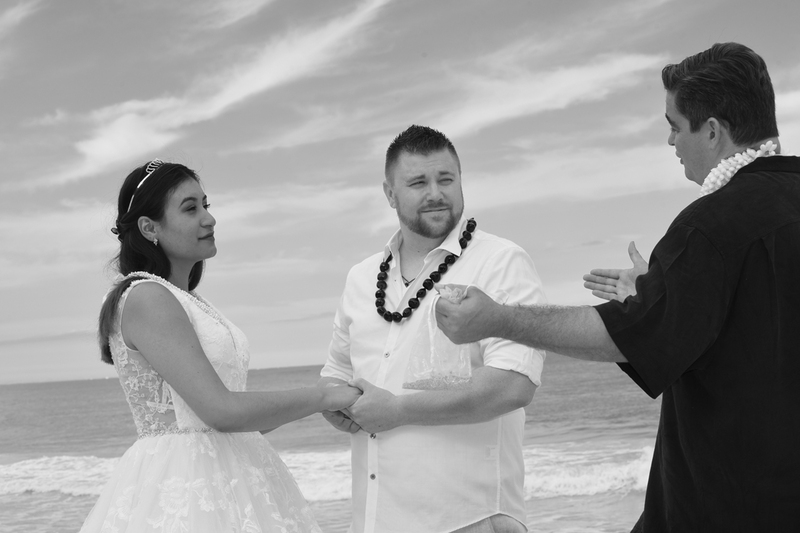 This prize is a discount on any Oahu wedding package at Bridal Dream Hawaii $299.00 or above. No cash prizes given. Nice post from Black & White Wedding. Thanks for these details. We have also decided to get married in this June and would love to host a grand ceremony at one of the Seattle Wedding venues. We are looking for a reasonably priced party planning service. Does anyone here knows about such a service?